Home - Featured - What is the best Ireland Travel Guide for the vacation months ahead? 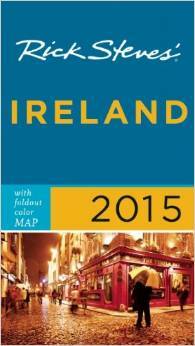 What is the best Ireland Travel Guide for the vacation months ahead? I was sitting in a tourist office a few days ago flicking though a couple of the Ireland tour books they had for sale. One of them seemed ok, the other not so great. I started thinking to myself – what would I like to see in a tourist book? The top attractions need to be in there of course, but probably with minimal detail. It’s easy to find information on those places online and in dedicated books. A good tourist book should probably include a decent list of “off-the-beaten-track” attractions as well. Places that you’re not going to have to wear shoulder pads to enjoy. It may come as a surprise but not everyone wants to kiss the Blarney Stone, or sip Guinness at the Guinness Storehouse. I figured a couple of other things I would like to see in an ideal tourist book are good local maps especially of city center streets, the phone numbers and websites for local businesses and maybe some “Do’s and Don’ts”. Self guided tours, photos, public transport information and restaurant/hotel reviews would also be very useful information for the first time visitor. Even if Ireland is quite possibly the friendliest place in the world – (can you sense the bias?) 🙂 – there’s a good chance a tour book will help you out, when one of those friendly freckled-face folk aren’t around to give you directions. Besides the traditional book-form travel guide, travel apps for smart phones are becoming increasingly popular. There’s plenty of them available if you search the iTunes store, and I’m sure there are plenty available for Android and other non-Apple smart phones also. The one drawback I see with these apps when you are abroad, is you probably are going to need a network connection to use them. Unless you can find a WiFi connection while you’re out and about, having a book in your backpack or handbag may be the better option. Happy vacationing for the year ahead. Claire – can people download it from the website? Hi Liam, The times when i’ve come over with a big group of first time visitors I’ve found Frommers to be a good guide. John & Sally McKennas’ Irish Food Guide is a great reference for dining recommendations. Personally I like to freestyle. Enjoy your weekend, getting ready to move another foot of snow, ah spring is just around the corner. I must give that food guide a look at. It’s easy finding stuff near home, but when I’m off up the country for a weekend I’m lost 🙂 Although you can always count on some decent pub grub almost anywhere. Hi Liam, My dad and I used the DK Eyewitness Travel Guide to Ireland and found it full of great maps and info on EVERYTHING Irish. It’s got a really durable cover and although it’s travelled with us and before us my brother twice, it’s still in good shape. Thanks for the tips Kerry. It’s always useful to have personal reviews like yours.